In the military, relocation is a way of life. Most active-duty service members move an average of once every three years, officially relocating to a different duty location, such as a military base. Once you receive your Permanent Change of Station (PCS) orders, you must quickly organize yourself and your family to ensure you’re ready for the relocation process. For those who own a home or wish to become a homeowner, this process can be quite complex and overwhelming. So when you’re ready to obtain a home loan for PCS orders, contact PrimeLending. We can help you take advantage of your VA benefits, buy a new home, and prepare for your PCS move. A Permanent Change of Station (PCS) is an official relocation between one duty station and another. Upon receiving PCS orders, a service member and any family members living with him or her must move to the specified military base or other duty location. The government covers most costs associated with PCS moves, and those not covered may be eligible for tax deductions. Despite its name, a Permanent Change of Station is not always permanent. In addition, do not confuse a PCS with a Permanent Change of Assignment (PCA), a reassignment to another unit within the same military post, or a Temporary Duty Assignment (TDA), a short-term change of station. How do PCS orders impact active-duty military personnel and their families? Members of the armed forces learn the importance of rolling with the punches early in their careers. When orders are handed down, they must cooperate and adjust their lives very quickly. Moving to another city is always stressful, but it is especially difficult when you aren’t in control of the moving timeline or destination. The military decides when to issue a PCS, and as soon as you know your moving date, you will need to prepare for the move by exploring available resources, deciding whether you will sell or rent your current home, searching for a new home, scheduling your mover, and much more. PCS orders will affect your family in numerous ways, impacting your home, your jobs, your children’s school, and your entire community. To reduce your family’s stress, explore your options for a home loan for PCS orders. How can a home loan for PCS orders help? Homeownership can be tricky for members of the armed forces. If you own a home and receive PCS orders, forcing you to move somewhere new, you must decide if you will rent a new home, buy a new home, or live in the barracks. Sometimes the choice is easy, but it can be complicated by many factors: the equity you have in your current home, the housing market, how fast you can sell your home, if you would like to rent out your home, if your family will be moving with you, if you even want to sell your home, etc. Keep the old home and rent it out. If you plan to return to your home at a later date, this is a great option. You will retain ownership of your home, acting as landlord, and the renter’s payments will help pay for your mortgage, insurance, and property taxes. Sell the old home with an assumption. With this option, a qualified buyer will assume your existing home loan, taking over your mortgage and payments. If your loan’s interest rate is below the current market rates, this could be a very tempting offer for homebuyers. 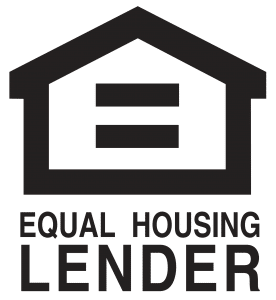 When another buyer assumes your home loan, however, you will not regain your entitlement until the buyer sells the home or refinances the mortgage. Sell the old home outright. If you choose this option, you will restore your entitlement, which will allow you to use your VA loan benefits in the future. Selling a home requires time and money, so it isn’t always convenient for service members with PCS orders. Which option most appeals to you? Or perhaps you would like to choose an alternative, like keeping your home but not renting out? If you’re having trouble deciding, consider what you would like to do regarding your new home. Will you be renting? 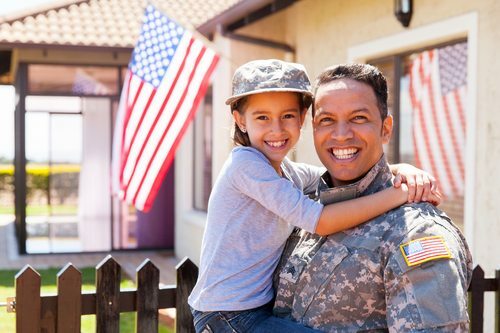 Do you want to buy another home using a VA loan? Your future plans may help you decide how to deal with your current home. No matter which option you choose, you may elect to buy a home in your new duty station. If you sell your old home outright, as we mentioned above, you will restore your entitlement, allowing you to use your VA home loan benefits on a new home. Alternatively, if you wish to hold on to your current home, you could use your second-tier entitlement to secure a second VA loan. This depends on how much of your full entitlement remains after your first home purchase and whether or not you have the financial resources to qualify. Navigating the ins and outs of homeownership can be tricky, so if you’re looking to get a new home loan for PCS orders, contact PrimeLending for help. Schedule an appointment, and take advantage of our PCS with Me program. To learn more, please give us a call at 785-560-3011 or contact us online. It’s our turn to serve you!